Granted, this may not be exactly what Shakespeare penned in his Sonnet 18, but just as this famous poem is a celebration of beauty, so too is the arch. 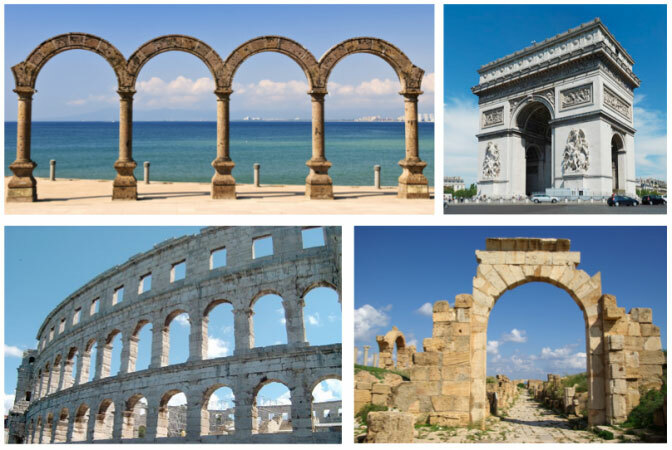 The architectural arch dates back to ancient times. The Egyptians, Greeks and Romans all recognised its strength and beauty of form in the construction of monuments, walkways, bridges, places of worship and more. Today the arch still captivates the imagination and we see it in so many different modern architectural styles. The curved lines of an arch soften a space, create interest and make a statement; whether they are doorways, windows, and archways or purely external or internal design features they are incorporated into the plans of a home with purpose and design sensibility. Curtains hung midway or above the arch, interrupt the design or hide it completely. Worse still are curtains hung within the arch on poorly placed and ineffective hooks, Velcro or cord. Although beautiful, most interior designers will agree that an arched window or door is the most challenging of all openings. Choosing a window finish that is effective at controlling light, ventilation and privacy and that enhances and complements the arch is not always obvious. True arch shutters follow the gentle curve of the arch. 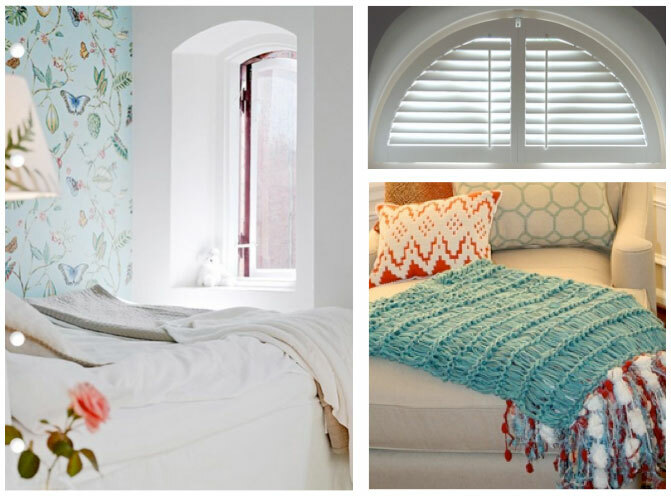 Shutters are a smart choice in window finishes; over and above the fact that they are considered permanent fixtures, therefore add value to the property, shutters are timeless. “With a history dating back almost as long ago as the arch itself, shutters have been installed in homes of all kinds and styles for centuries,” says Karina Palmer. 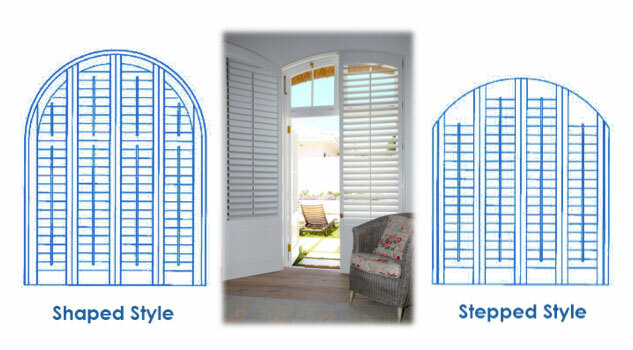 AMERICAN shutters’ Normandy and White Teak shutter ranges can all be manufactured to custom shapes, including arches. AMERICAN shutters’ custom-shaped shutters respect the shape of the arch completely. 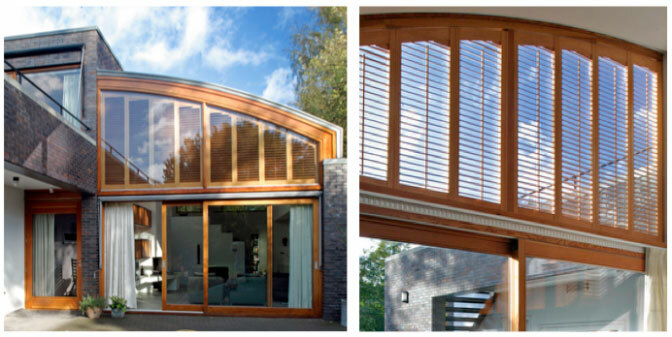 “We do not simply shape our shutter frame to fit into the recess of the arch and step our shutter top rails, which results in a jagged stepped appearance that distracts from the soft lines of the arch,” states Karina. Depending on the angle and style of the arch, AMERICAN shutters offers either a true arch or flat edge (as seen in the below images). The arch is a feature itself, so be careful not to steal its spotlight with other large attention-grabbing décor furniture or elements. Follow a less-is-more approach and allow the architectural presence of the arch to be the hero of the space. The depth and soft curves of the arch play with light and shade beautifully, don’t introduce artificial lighting that will distract from this, rather work with it and have lights reflecting off the curves or accentuating the detail of the arch. Don’t crowd the wall on which the arched window is, with artwork, this will ruin the natural geometry of the architecture and compete with the arch and in so doing complicate the design. Use mirrors and glass in the space to replicate the arch feature. Having a mirror positioned to reflect the arch will create an illusion of depth and space. Be careful with contrasting paint colours. Do not be tempted to interfere with the natural shape and shades of the arch by painting the relief and surrounds in different colours.